REFLECT: Why does Paul call the gospel - "the power of God?" 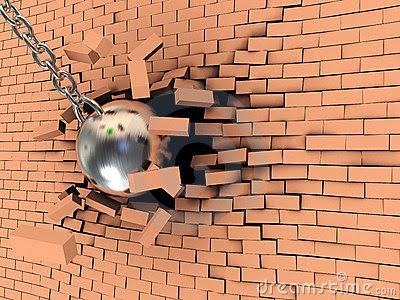 RESPOND: Name one person who has used the Gospel to break through a seemingly unbreakable barrier. Me ... After seeking help for my addictions and gaining sobriety, the power of the Gospel was the only thing that could break through the barrier of the crippling depression and anxiety that was consuming my soul. All praise and honor to our triune God !!! It seems that the word of God is referred to the power of God because that is what God primarily uses to show us who is, how to follow him, and all that comes with living a life through his son( salvation/discipleship). I feel very blessed because the list of people who used the power of God to break down walls is to long to write on here. But one person that sticks out at this moment is one of my close friends, John. He has struggled for years to give up a part of his life. After leaving the church and coming back multiple times he has finally taken his relationship with God serious and through the power of God has broke down a ton of walls and surrendered his whole person to the will of God. God broke through the 'unbreakable' barrier that I built around myself to keep me away from Him, from believers and from my parents. He destroyed the wall I built with sinful thoughts, worldly desires and lust, and the plans that I thought were right for my life. I am so thankful that God never gives up on me. Naming one person who has broken through a wall... Hmm I would say that there are 2 people that broke down the first wall. That would be my friend Aldo and Cory. They were the ones to sit down with me and take me through the bible. Show me what exactly I wasn't getting about religion. I was brought up in the church but never took it seriously. But when Aldo and Cory took me through the bible they opened my eyes. They opened my eyes to God and his love. Then the rest of The crossing church were the other ones that brought down my wall. I'm truely thankful for the church I'm apart of cause I have no idea where I would be at right now if it wasn't for them.